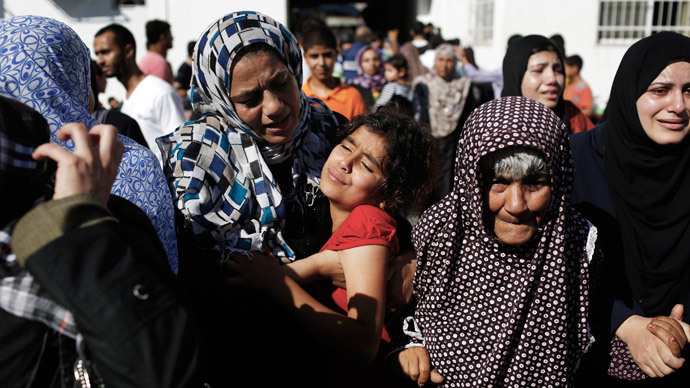 Over 1,000 Palestinians have been killed since Israel started its military operation in Gaza, officials said. 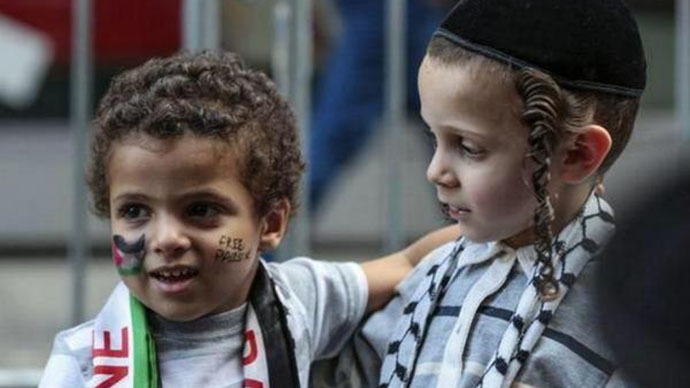 As world leaders called for a full truce, Israel extended the humanitarian ceasefire in Gaza for 24 hours. The ceasefire has been prolonged until Sunday at midnight, the country's cabinet decided late Saturday . "At the request of the United nations, the cabinet has approved a humanitarian hiatus until tomorrow (Sunday) at 24:00," an unnamed official said in a statement. However, Israel warned that it will retaliate if Hamas fires rockets from Gaza territory. In addition, the IDF "will continue to neutralize the terror tunnels inside Gaza. Four terror tunnels were neutralized in Gaza on Saturday, despite the ceasefire that was in place from 8:00 a.m.," the Jerusalem Post reported. Hamas rejected Israel's 24-hour extension of the humanitarian ceasefire, a spokesman for the group said. "No humanitarian ceasefire is valid without Israeli tanks withdrawing from the Gaza Strip and without residents being able to return to their homes and ambulances carrying bodies being able to freely move around in Gaza," he said as cited by AFP. The Israeli Security Council is set to reconvene on Sunday morning to reevaluate the situation. 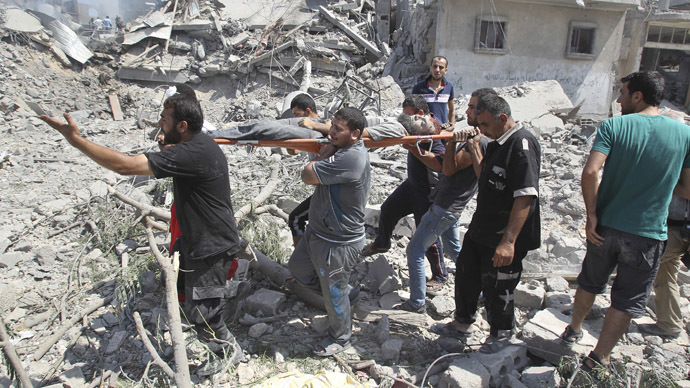 The Palestinian death toll from Israel's 19-day operation is over 1,040 people, Gaza’s Health Ministry told AFP. On Saturday, Hamas ignored an Israeli announcement that it would extend the 12-hour truce by four hours and resumed firing rockets into from Gaza. “The IDF shall respond if terrorists choose to exploit this time to attack IDF personnel or fire at Israeli civilians,” the military’s spokesperson also said in a statement, adding that Israel will continue “the operational activities to locate and neutralize tunnels in the Gaza Strip” during the ceasefire. However, thousands of Palestinians ignored IDF warnings and returned to their Gaza homes to find scores of houses demolished and wreckage blocking the roads. The residents encountered widespread destruction in the northern town of Beit Hanoun. “Nothing is left. 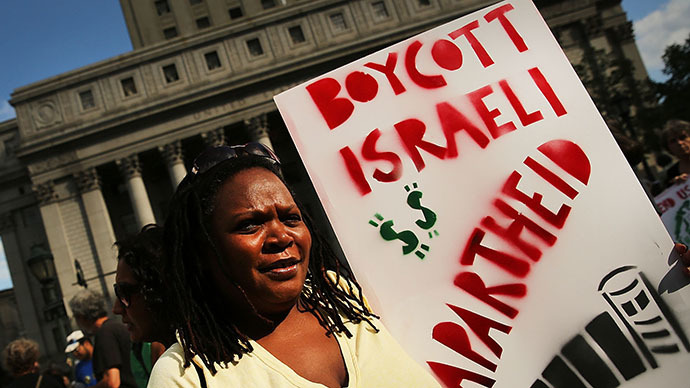 Everything I have is gone,” a Palestinian woman from the town told AP. At least 100 bodies were recovered from the rubble in Gaza on Saturday, with many of them being partially decomposed, Ashraf al-Kidra, a Palestinian health official, said. Al-Kidra spoke of 20 members of an extended family, including at least 10 children, who were killed by tank fire that hit a building on the edge of the town of Khan Younis. Their funeral took place on Saturday, with hundreds of men marching, chanting "There is only God!" 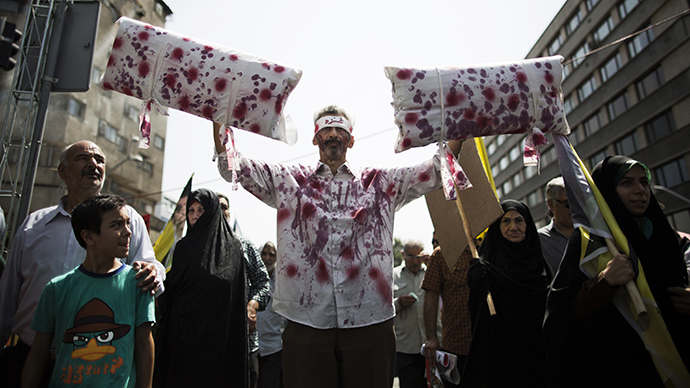 while carrying the bodies wrapped in white cloth. 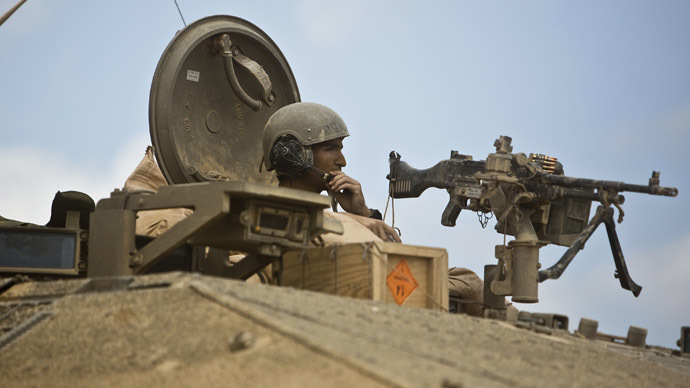 Israeli military’s death toll in the ground offensive has reached 40, with the IDF announcing that three of their soldiers were killed in Gaza in the early hours on Saturday. Western foreign ministers from the UK, France, Germany, Italy, Qatar, Turkey and the US have called for an extension of the 12-hour cease-fire between Hamas and Israel during their meeting in Paris. "All of us want to obtain, as quickly as possible, a durable, negotiated ceasefire that responds both to Israeli needs in terms of security and to Palestinian needs in terms of the social-economic development [of Gaza] and access to the territory of Gaza," Laurent Fabius, France’s foreign minister, stressed. 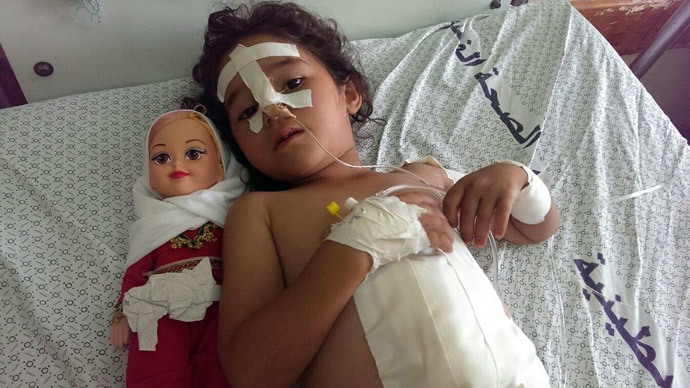 His British counterpart, Philip Hammond, added that “the necessity right now is to stop the loss of life” in Gaza. “And we stop the loss of life by getting this ceasefire to roll over for 12 hours, 24 hours or 48 hours – and then again until we have established the level of confidence that allows the parties to sit round a table to talk about the substantive issues,” Hammond explained. 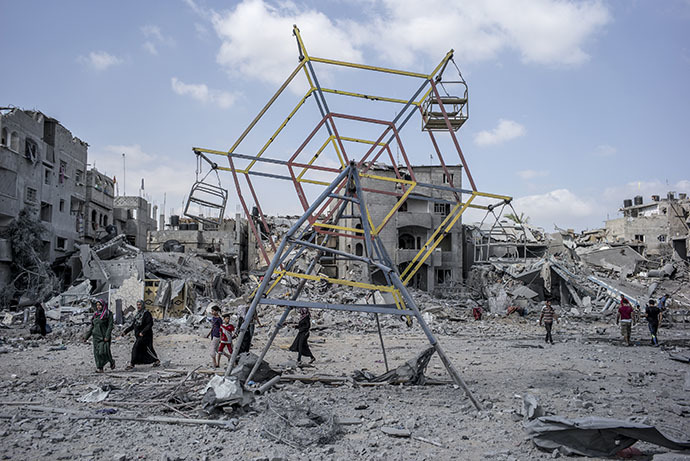 Israel has replied to calls from the international community and agreed to extend the Gaza humanitarian truce by four hours – until midnight (21:00 GMT), a source in the country’s government told Reuters. However, the proposal was rejected by Hamas and minutes after the ceasefire expired, shelling of Israel resumed. Moments ago, 3 mortars fired from Gaza hit Israel. 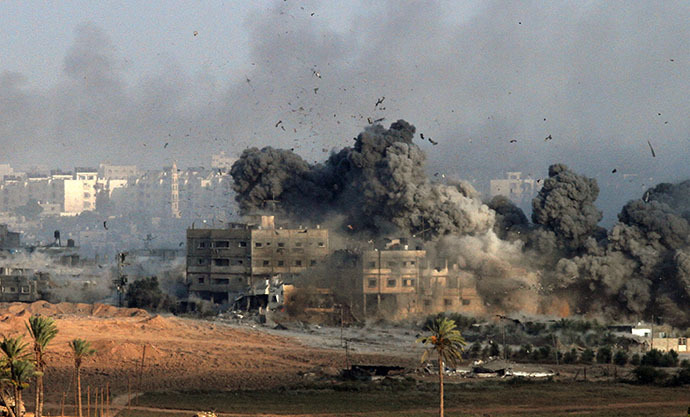 Israel launched a major air campaign in Gaza on July 8 and later sent ground troops into Hamas-ruled territory. The IDF say that Operation Protective Edge is aimed at halting Palestinian rocket fire and destroying Hamas’s cross-border tunnels. On Saturday, at least four more tunnel shafts were discovered by the IDF. The military vowed to continue their mission in the strip.